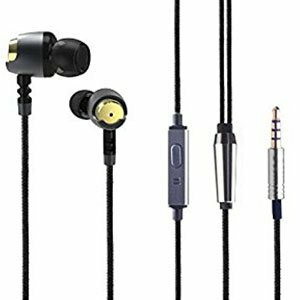 Top 8 Cheap Earbuds Under $20 – Don’t Break the Bank! It’s fair to say that the sub-$20 price point for audio equipment lies firmly within the category of ‘entry-level’. That’s a term that often comes loaded with fairly negative connotations about things like shoddy build quality, paltry feature lists, and a poor overall experience. But this is no longer the case, and many manufacturers have correctly identified (and subsequently addressed with targeted releases) the need for quality introductory products at the low-end to win people over to their brand. That is not to say you won’t have to consider trade-offs: you absolutely will. But if what you’re looking for is a cheap and cheerful, moderately disposable pair of earbuds that you won’t have to worry about transporting inside some kind of bulletproof, diamond case, then this is absolutely the place to start. Impressive design with actual rosewood used as material. Great low end with enough clarity in the mids. Bang for the buck value that is hard to beat. Although functionality and performance are both important, sometimes we have to include aesthetics into our decision making. Especially when we are dealing with earbuds such as APIE Wood. These are by far some of the best looking earbuds you can find out there. APIE has used real wood for the speaker housing, which is impressive considering how much this particular set costs. In terms of performance, APIE Wood offers a good sound across the entire frequency range. You will enjoy wide lower end with balanced mids and fairly detailed highs. APIE offers these earbuds with a number of different gel adapters which should fit just about any ear shape and size. On top of that, you also get a built in microphone that works quite well. Surprisingly good low-end response and noise cancellation. Durable design that can take quite a bit of abuse. Occasional quality control issues but nothing out usual. Speaking of cool designs, G-Cord has quite a few in their current lineup. The model we are looking at today stands out due to its interesting design and proven performance. G-Cord Earbuds feature a ceramic chassis which is contoured in a way that maximizes comfort as well as fit during use. These are light weight and quite attractive if aesthetics are a factor for you. Performance wise, G-Cord Earbuds strike us as balanced. 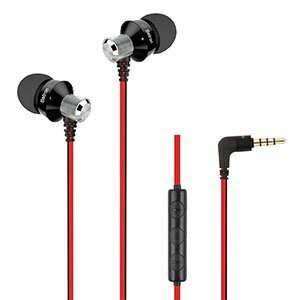 Much like most other earbuds in this particular price range, G-Cord Earbuds pack a bit of an artificial punch in the lower portions of the frequency range. With that said, the bass isn’t too bad nor does it overwhelm the mids and trebles. If you like your sound to be fairly even, chances are you’ll like these. Good audio, especially in the bass. Inline remote and integrated mic are the icing on the cake. Lack of volume control is a shame, but not a dealbreaker. ​​​​It’s no secret that modern earbud design leaves a lot to be improved upon. Especially when you look at comfort. Panasonic has tried to fix a number of issues by introducing their Ergofit RP-TCM125-K earbuds. The moment you look at them, you will know that they are fairly promising. 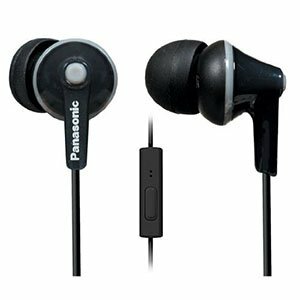 With their special design, Panasonic has merged good comfort with great performance at a decent price. Looking at the performance of Panasonic Ergofit RP-TCM125-K, we see a familiar sight. Panasonic has stuck with the proven formula of boosted lows with plenty of accuracy in the higher end of the frequency range. In our limited experience, they were right to do so as Ergofit earbuds sound pretty great all things considered. With a quality microphone, these really are among the best. Costs less than some 1-hour parking. Phenomenal audio bang for your buck. Comes with three earpieces, a big improvement on the 8320s’ one. ‘Features’ are an alien concept to this device. The noise isolation isn’t the best. It isn’t often that you find earbuds which aren’t a more or less copy-pasted version of the most standardized design. However when you do, chances are that you are in for a treat. That definitely applies to Monoprice Enhanced Bass Hi-Fi Noise Isolating Earbuds for a number of reasons. For starters we have a completely unusual chassis design which is streamlined for performance. While these are a bit bulky, there is a good reason for it. Inside each of the earbuds hides a massive driver which offers an equally large sound. You are looking at great performance across the entire frequency range while the bass is somewhat accentuated. On top of all that, we also have the noise canceling technology that actually works. Overall, these are pretty great. Premium aesthetic with a mostly high-quality build. Inline remote and integrated microphone are always a plus. Simple, durable and efficient. That would be just some of the ways to describe CB3 Metal Earbud Headphones. These are also proof that quality doesn’t come at a premium price, at least not always. 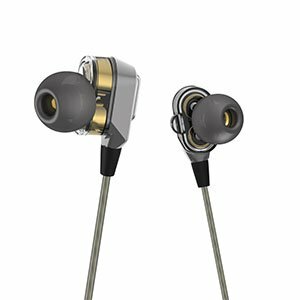 CB3 has opted to go with metal over plastic for the driver housing, which definitely improves both the durability and aesthetics of these earbuds. In a way, they feel like quality. With that said, the sound isn’t too far behind. 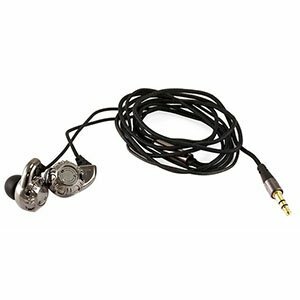 For the most part, CB3 Metal Earbud Headphones are pretty standard in this regard. You have a well balanced sound that features a wider low end with plenty of meat in the mids. Trebles are about as sharp as we could reasonably expect them to be. All of this makes CB3 Metal Earbuds a great choice. A great design that is somewhat unusual but ultimately quite effective. Magnetic transducer housing allows you to store the earbuds without them becoming a mess. Well balanced performance with no accentuated frequency bands is always a plus with affordable earbuds. Although we appreciate the aesthetics, a few more color themes would have been great. COSPOR is one of those brands who are trying to give their customers a complete package. In case of COSPOR Magnetic earbuds, that means a proper chassis design, good aesthetics, good performance but also a somewhat advanced functionality. 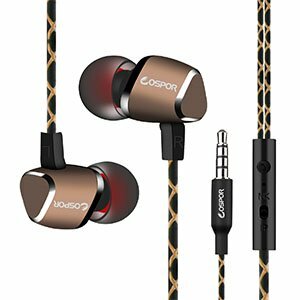 Using a triangular metallic chassis, COSPOR has managed to balance the earbuds in a way that makes almost unnoticeable during use. Then we have the magnets. The whole idea is to lock the two earbuds together when not in use, so that you’ll never have to deal with a tangled mess again. Since the magnets they’ve used are fairly strong, you can lock these up around your neck when you’re not using them but don’t want to store them. In terms of performance, COSPOR Magnetic are up there with the best. One of the most interesting and audacious designs on the market, but one that works. 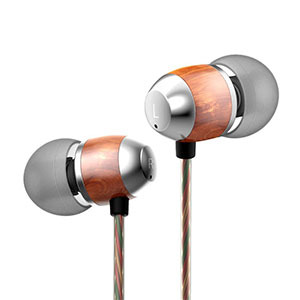 Each earbud packs two high quality, highly responsive magnets which offers real performance boost. Massive sound especially with an accentuated lower end means plenty of bass and power. One thing we would've liked to see is a better balance across the frequency range. No matter how advanced modern earbuds are, they sometimes tend to sound underwhelming. Since most users don’t want to walk around town with a set of massive headphones, another solution had to be found. ActionPie BS1 solved the issue by introducing a dual driver design that works and doesn’t negatively affect comfort. ActionPie BS1 give you that massive sound without feeling too heavy. Speaking of sound, the fact that there are two drivers in each earbud explains the broadened sound stage. As expected, the bass on these is wide, beefy but also pretty well defined. Same goes for mids which really add some texture to the sound. Last but not least, we have clear but refined trebles to seal the whole deal. Overall, these earbuds rock. Straight forward, clean and functional functional design makes these great for everyday use. Tangle-free cable that actually works means that you won't have to deal with knots. Plenty of range especially in the lower end ensures a good sound. Aesthetics, although fairly tame, could still turn a few users off. We feel that there should have been more options in terms of ear bud sizes. Compared to most other brands and models on the market, Betron DC950 may come across as plain. However, these are the very definition of a balanced performer. Their aesthetics are geared towards those who want a subtle look while the sound they offer is going to suit just about any music genre you can think of. Because of that, Betron DC950 are quite alright. In terms of functionality and hardware, Betron DC950 deliver their massive tone thanks to a 11.5mm set of neodymium drivers. You’re getting a bit of an accentuated bass response but not nearly as much as some other earbuds tend to offer. On top of that, you have the built in microphone with inline controls. Betron delivers the DC950 with all the accessories you’d expect. The main bit of good news is that the entry-level of the in-ear headphones market has moved on significantly in just a few short years. Acutely aware that they have to now compete with the ‘free’ (or rather ‘included in the box’) offerings which accompany the purchase of nearly any device you’d care to mention, many brands have begun to focus more time, money, and energy into bolstering their lower-end models. You’ll often find a fairly robust feature set, with essential features like an inline remote included more often than not across the board. Portability is good, if only because you’re not going to find the kinds of high-quality building materials that add a lot of extra weight, and because you probably won’t mind these earbuds taking a knock as much as you would someone dropping your $500 pair of headphones. Because it’s such a broad market, it’s hard to pinpoint a common theme in what in-ear headphones at this price range tend to do poorly. Certainly, sound quality is never going to compete with higher-end models, but that doesn’t mean you can’t end up with a device which more than does the job. At the very least, you should be able to find a stand-in (if not outright replacement) for your stock in-ear headphones. Visual design is a questionable proposition across the board in the earbud market, but nowhere is that more evident than in the sub-$20 sector where aesthetic is very much a luxury option. Expect a lot of cheap, fairly flimsy plastics which cost barely anything but often manage to look and feel like they cost even less. Expect garish color options as standard to appeal to a younger, pocket-money crowd. Expect, too, a fit that tends towards more of a ‘jam it in your ears and hope for the best’ vibe than the secure, self-assured comfort of, in particular, wireless earphones models. Having said all that, for under $20 the main thing you’re going to want to prioritize is likely to be the best possible audio quality for your money. While this, broadly, is the case when looking for the top in-ear headphones at any price point, with such an affordable product you’ll want to make sure that the manufacturer isn’t trying to pass off a minimally developed listening experience by hiding it behind feature bloat or a surprisingly nice design for the price. If these are going to be your primary listening device, you need to do yourself a favor and take a careful look at performance reviews. Of course, as you won’t be dropping several hundred dollars, it’s probably not the end of the world if they don’t work out in the long run, but it’s still good to ensure you’ve covered all bases before pressing Buy Now. Is It Worth Investing In A $20 Set Of Earbuds? This is one of the most common questions people have regarding this particular price range of earbuds, and it is a legitimate one. Should you spend $20 on something from our list or save up and get earbuds which are more expensive but also better? In all honesty, you should always aim to get the best your money can buy. Whether that means $20 earbuds or $100 ones, it doesn’t matter. With all that said, lets try to answer the question the best we can. The first thing you should know right away is that $20 earbuds are pretty competitive these days. No longer are you limited to a subpar set of hardware that will give up on you in mere months of use. Instead, manufacturers are offering their models with quite a good selection of both drivers and features. If you look close enough and spend some time researching this subject, chances are that you will find earbuds which outperform a much more expensive set. While this isn’t necessarily common, it does happen from time to time. In other words, we feel that this price range holds some of the best bang for the buck options you will find these days. Lets talk a bit about what kind of advanced features you can find in this price range. If you are looking for a decent set of earbuds with a built in microphone, you are in luck. That configuration is the standard now and just about every pair of earbuds out there will meet that standard easily. However, some models take things to another level. 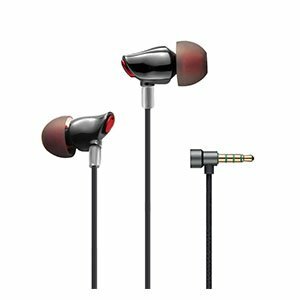 For example, you have earbuds that feature dual driver design which used to be something only seen in more expensive price ranges. We have added one such model to our list and it delivers exactly the type of performance you would expect. Further more, we should address the question of sound balancing or lack thereof. It is no secret that most modern earbuds are bass heavy. That is simply what the market demands and what most brands are racing to deliver. The problem occurs when you want some balance in your sound. Fortunately for us, a good number of brands is slowly ditching the whole bass heavy attitude in favor of a more balanced frequency response across the entire range. This way you can enjoy a good and balanced experience no matter the genre or nature of the track. Although most earbuds are still made from plastic and other composite materials, we are seeing more and more metal in the game as well as some unconventional options. For example, you will sometimes see genuine wood in combination with metal. All of this does a lot towards ensuring longevity as well as durability. It is our recommendation to go with a pair of earbuds that feel good in your hands and inspire confidence. If you can find that, you should be alright. So there you have it. Your ideal purchase should, if you cross your fingers, perform well enough to replace your stock in-ear headphones, but you’re not going to get a whole lot further than that without shelling out some more cash. By no means, however, is this a doom and gloom affair. If you’ve decided, after careful consideration and research, to opt for an entry-level pair of earphones, you probably already have a good understanding of how they will fit your particular use case. Sound quality can be awful, granted, but you can also find some picks which are certainly better than expected. Know your priorities, shop accordingly, and you can’t go too far wrong.